Home » Uncategorized » How to E-File Your 2018 Taxes & The New Tax Changes! How to E-File Your 2018 Taxes & The New Tax Changes! Are you starting on your 2018 tax return right now? Your tax return may seem a bit off when you’re filing. The reason for this is the Tax Cuts and Jobs Act (TCJA) changes. How about we find out how to e-file your taxes first? For on the go taxpayers and those who just need a break. If you have a hectic schedule or just want to relax at home after a long day, filing your taxes online could be the best option for you. No need for standing in long lines for a tax accountant (especially with the government shutdown happening right now). Submit your account for e-file! We’ll e-file your tax return as soon as possible. Keep in mind, taxpayers who have a refund for the 2018 tax year are not subject to any penalties at any point they decide to file. Just make sure you file within three years of the due date of your return to claim your refund. However, taxpayers with a tax due to the IRS will need to file right away so they can avoid late filing penalties! Check out the breakdown of the tax changes this year. 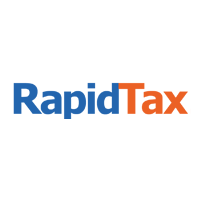 Six new schedules are introduced this tax season. Although the sound of these schedules might overwhelm some taxpayers, just imagine it as the original tax return being smaller and split up into separate sections based on the TCJA tax changes. Read below to find out how each schedule is organized. If you have additional income or adjustments to income like capital gains, rental real estate, unemployment compensation, or deductions for your student loan interest, educator expenses and the deductible portion of your self-employment tax, you will find this information on Schedule 1. On the other hand, if you owe Alternative Minimum Tax (AMT) or those who are required to make an excess advance premium tax credit repayment, you will be using Schedule 2. For non-refundable credits such as the foreign tax credit, child and dependent care expenses, education credits or retirement savings contribution credits, you will be using Schedule 3. If you owe other taxes such as the health care individual responsibility penalty, self-employment tax, household employment taxes, additional taxes on retirement plans, or the repayment of first-time homebuyer credit, you will find your information on Schedule 4. For other payments and refundable credits such as the net premium tax credit, 2018 estimated tax payments, or the amounts paid with your extension to file will be reported on Schedule 5. Lastly, foreign addresses and third party designees will be reported on Schedule 6. Be the early bird this tax season. Now that you know what your tax return will look like, how about starting your 2018 taxes? Previous PostPrevious The IRS has announced the start of the tax season! Next PostNext The Child Tax Credit Changes for Your 2018 Taxes!